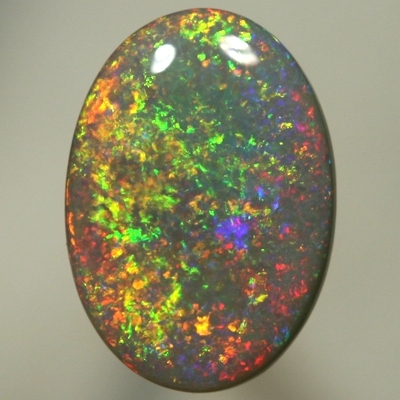 A magical opal, bursting with bright copper gold, orange, yellow gold and neon green. 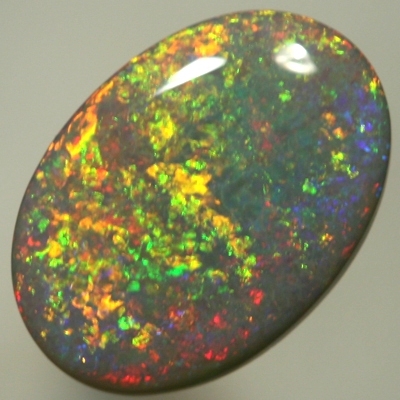 Very bright and clean fire rages across the opal. Not to be outdone are shades of blue, pink and purple playing under the golden fire. 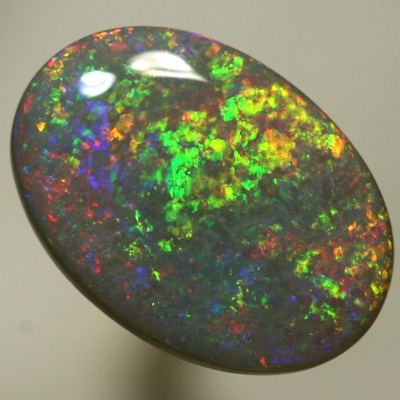 These colours sparkle all of the time, moving across the face of the opal. 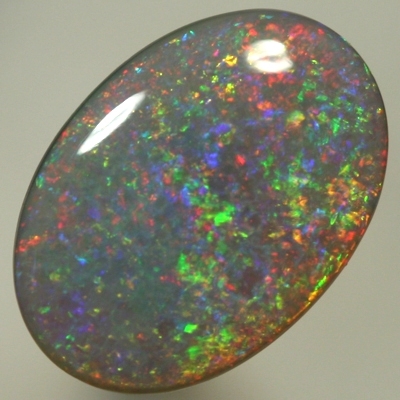 This breathtaking opal shows gorgeous and vivid colour from all angles, spectacular in low to moderate lighting as well. Great in all lights.